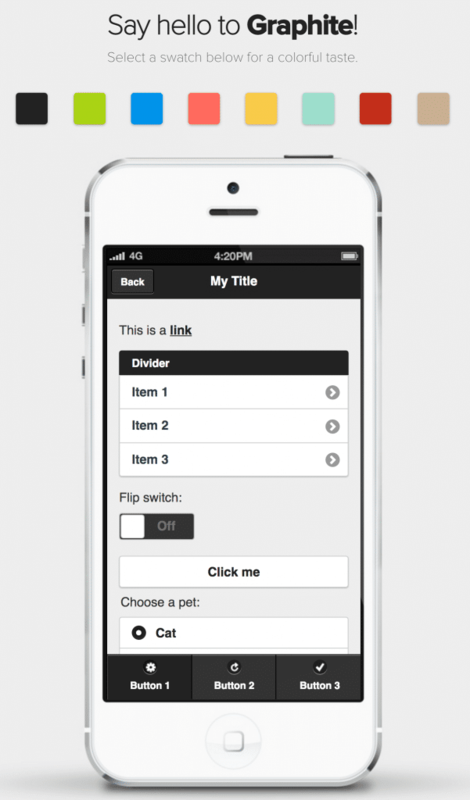 Checkbox utilizes a framework called “Graphite” for its mobile templates. You can view the open source repository on github here : https://github.com/driftyco/graphite. 1. Investigate the .yaml files in the themes folder. Simple take one of the existing .yaml files, copy it, give it a name that you want, and modify the 3 hex codes inside of the file. 3. Replace water.yaml with the name of your file .yaml. 5. Your new theme will be generated in the docs/themes folder. 1. Add the entire theme folder to the root\resources\mobile_themes folder in Checkbox. 3. After this recycle your application pool, and your new theme should be accessible.